This is a nice, large dinosaur tooth from the Cretaceous of Morocco. This distinct tooth is from Spinosaurus aegyptiacus, a large meat-eating dinosaur. This robust tooth is well preserved and has wonderful, brown corrugated enamel. A portion of the root is still intact, and the tip of the tooth exhibits very little natural wear from use. 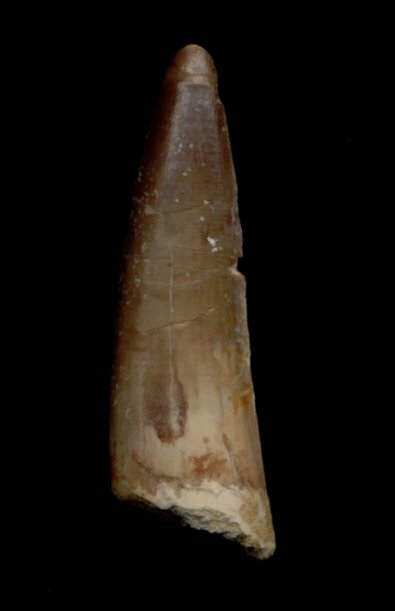 This is a very nice, large tooth from the sail-backed star of ''Jurassic Park III'', great for a gift, a collection, or a conversation piece.